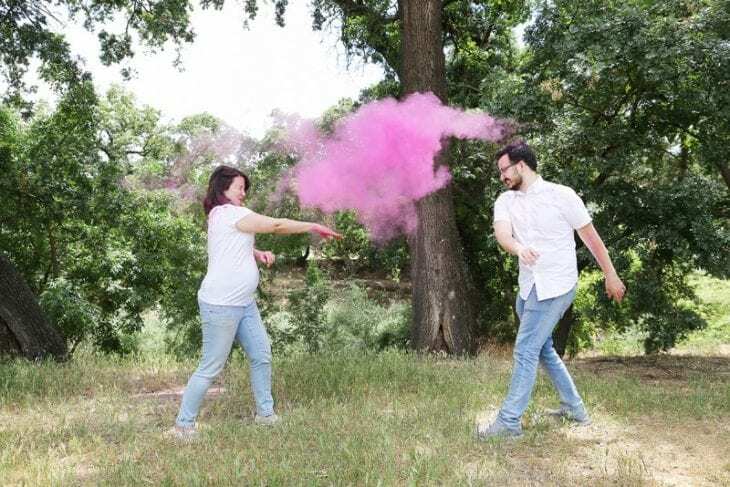 Check out these creative gender reveal announcement ideas to find out the gender of your next baby or announce it to family and friends! Such fun ideas!! A new baby is always a reason to celebrate! But how do you celebrate BEFORE the baby actually arrives?! I love any excuse to throw a party!! As I was trying to decide how to reveal baby #2’s gender (you can see what we did here!) 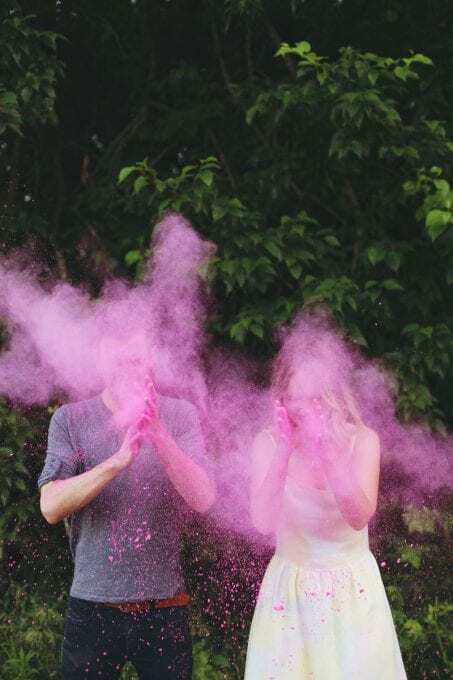 I came across so many creative gender reveal announcement ideas, I thought I’d roundup some of my absolute favorite and share them with you! 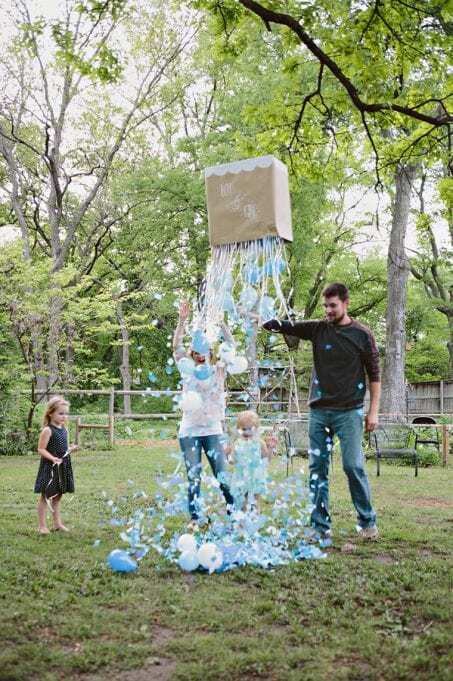 So without further ado, here are 11 creative gender reveal announcement ideas! These are so fun and if we had a good tree to hang a pinata from I might have made something just like this! I love how this one just sparkles and screams girl! This is a fun idea that I know siblings would LOVE! Also, really easy to DIY. Just decorate a box, gather strings, confetti, and balloons and hang it up. This is a great idea if you want to get all your family and friends involved! 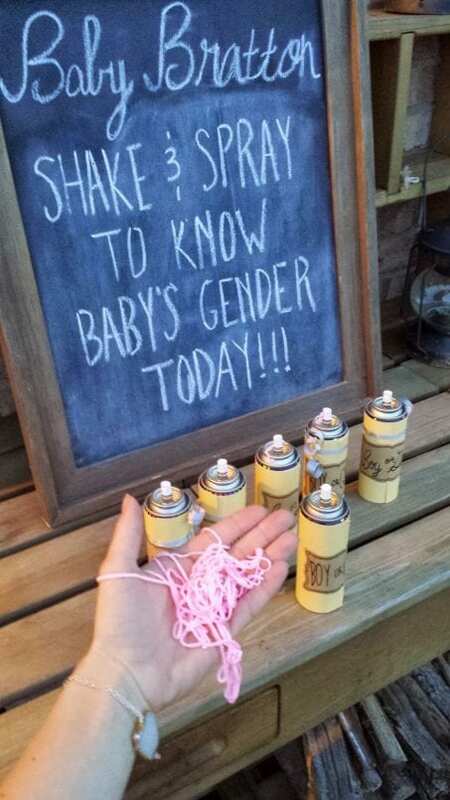 If everyone is wearing blue or pink, have them divide by their gender guesses and then give everyone a can of silly string. At the count of 3 everyone can start spraying each other to find out the gender. Such a fun idea!! Just remember to wrap the cans before your guests come. Grab pink silly string here and blue here. Who doesn’t love yummy desserts? For baby #1 we had gender reveal cookies and what everyone thought was a gender reveal cake. Unbeknownst to our guests, the cake just had white frosting inside. See how decided to actually reveal the gender here! These desserts are too cute though!! 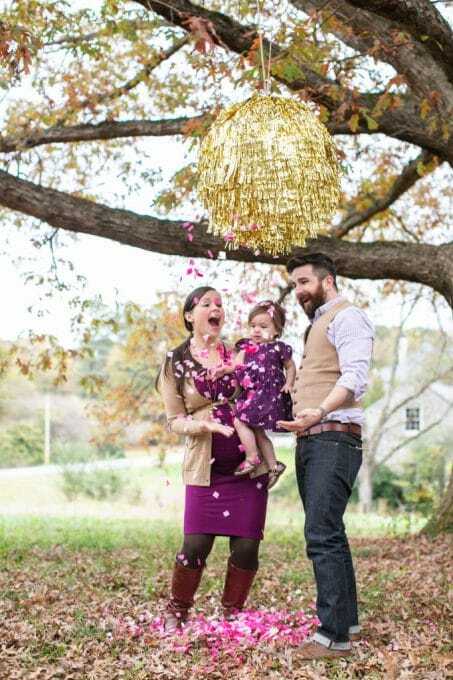 There are so many different ways you can use balloons for a fun gender reveal. Fill black balloons with confetti. Fill black balloons with paint. Fill a box with blue or pink balloons. These 36″ black balloons would be perfect. Take note that if you buy these large balloons and take them to a party store to have them blown up, it will cost you an arm and a leg. These large latex balloons take A LOT of helium to fill them up. However, if you take them to Rite Aid or a local grocery store that has a helium tank, they’ll usually fill them up for around $2. 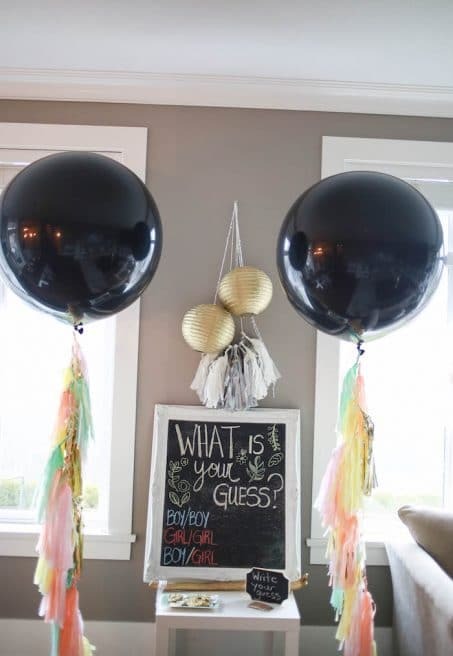 This boho-inspired gender reveal party with black balloons filled with confetti is too cute!! I love all the little details of this party. Or you can give a dart to all your guests and throw them at balloons filled with paint. We loved finding out this way with baby #2! Find all the details on how to do your own balloons and dart reveal here. I’m all about making memories and we had SO much fun having a paint fight to find out the gender of our first baby. 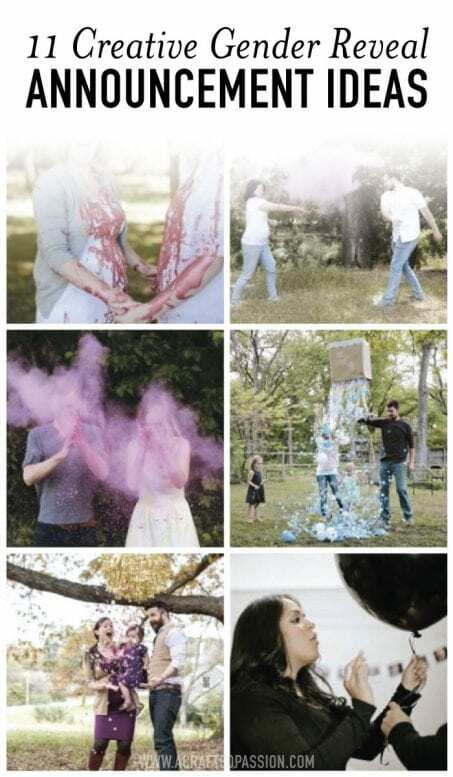 You can see all the details on our gender reveal paint fight here. Using holi powder though is also a super cute way of doing it and maybe not quite as messy as paint! Grab pink and blue holi powder here. These gender reveal scratch-its are also super easy and how we announced the gender of our first to our family and friends at our gender reveal party. 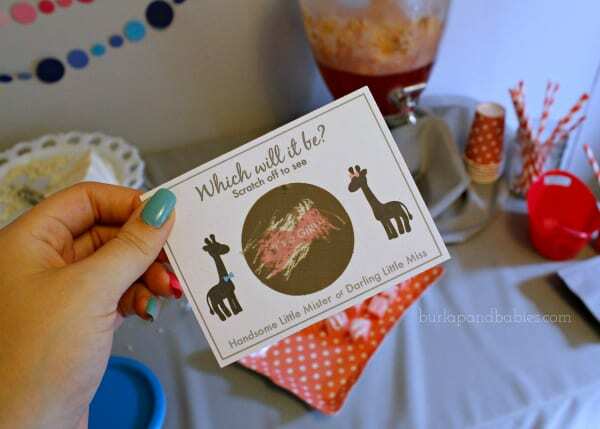 You can see how to make your own gender reveal scratch-its right here! 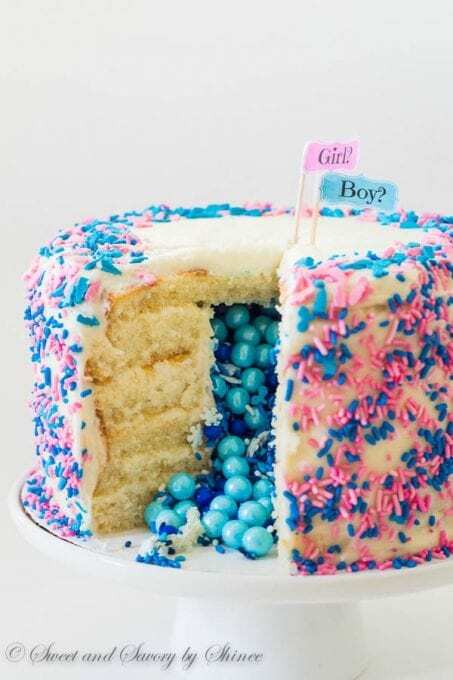 Are you inspired by these gender reveal announcement ideas? How did you reveal the gender of your baby? Did you go all out and plan a big bash type of partier or did you keep it simple and just spread the word around? 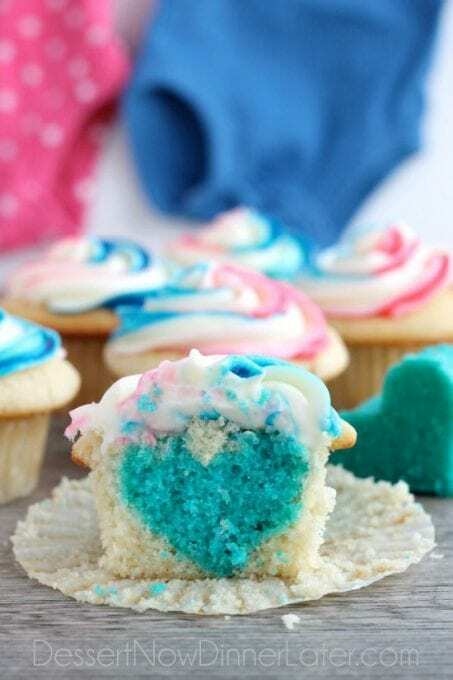 I am loving this Pink and Blue Baby Gender Reveal Ideas. It gave me lot of cute options to reveal baby gender in a baby shower party. Thanks Amanda for such a great article!